Some time ago I had destroyed yet another headset (I am natural enemy to those and headphones) and decided to try webcam for a change. Farther from me, more likely to survive. Video quality of generic webcam is nightmare-inducing, so I looked for something better than that and (most important) good audio quality for talking. 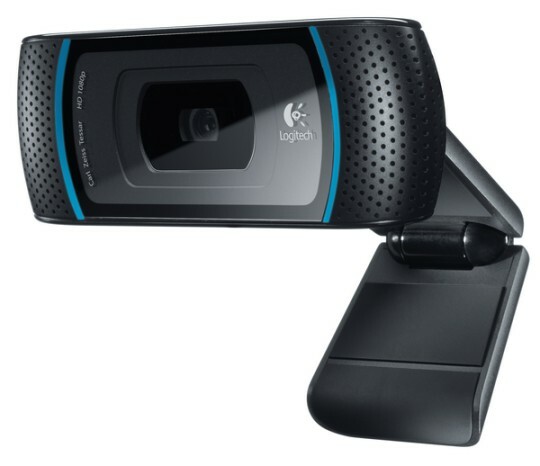 Without much deliberating I decided to go for top Logitech webcam model – HD Pro C910. Camera is not especially large for a gadget, but has very wide profile with glassy central area, framed by blue LED indicators and microphones on both sides. LEDs light up when video is active (not for audio) and can be disabled in settings. At the back there is foldable clip/stand. Well, despite being called clip it actually is not much suitable to snap or something – form is inconvenient for that and there are no springs to make it hold on. So it just sits on top of display, held in place by its own weight. Another shortcoming is that it can’t turn horizontally. The quality of video is on completely other level from generic webcams. The upper limit for streaming is 720p, 1080p for recording. 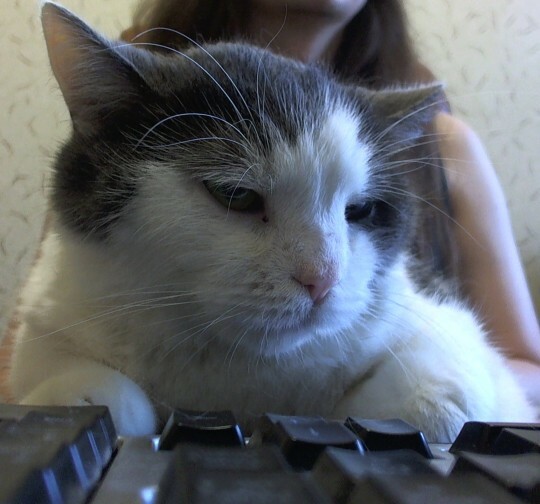 Skype picks 720p automatically, but with other software (especially not on Windows) your mileage may differ. There is bunch of settings to play with, but camera defaults to automatic mode that works just fine. Autofocus is sharp, but noticeably slow on high resolutions. Also at high resolutions it is quite a CPU hog. Specs recommend modern 2.4GHz CPU for 720p and higher. I hadn’t done any recording, but for talking online audio quality of stereo microphones is great. Everyone on Skype I asked about it said that is sounds great and clear. The only issue I hit with it is that GoToMeeting, that I have to use a lot, works terribly when you use webcam microphone with speakers (embedded in display in my case). It cannot filter out sound from speakers by itself and it doesn’t let either webcam drivers or audio chipset drivers to do that. As result I am forced to used headphones, which is exactly what I wanted to get rid of. Camera comes with whole bunch of software and luckily you can pick what you do and do not want to install. I went with main app alone and skipped all extras like for-fun video filters, trials of something, etc. Main app gives you access to options, detects third party camera-aware software that you have installed and allows to record images and video. While the idea of having 10 megapixel camera around is interesting (sure beats crappy camera in my phone) it is completely spoiled that making a shot is preceded by loooooong 3-2-1 countdown. Useless, unless you are trying to snap something very static. And cats are not usually static. This took a lot of attempts, appreciate it. Great (but pricey) webcam with somewhat inconvenient stand. Best suited for (powerful) desktop computer and works exceptionally well with Skype. This is a great camera nearly all videos on http://www.youtube.com/CALMlimited are recorded using the c910!